I have been a subscriber to Loot Crate for close to two years now. The crates started out good and, for the most part, stayed consistently good for quite a while. A dud here and there, but overall a worthwhile purchase. However, the company lately has been pumping out, in my opinion, at least, dud after dud after dud. I don’t think I’ve gotten a good one in at least six months, and the one for June was enough for me to cancel my subscription. However, I had one more under my subscription left, which came this month. Were we able to part ways on a high note? For those that don’t know, Loot Crate does a different theme for each month. 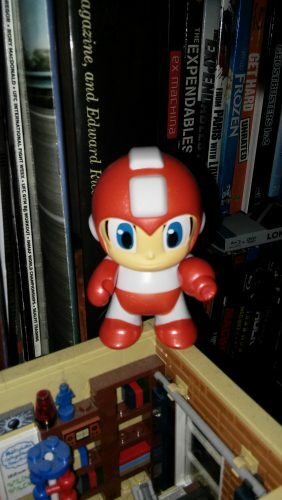 This month was “Futuristic” and contained items from the Mega Man, Rick and Morty, Star Trek: The Next Generation and Futurama franchises, as well as Valiant Comics. Since the last one is the only real franchise I was interested in, let’s start there. Dammit, that’s beautiful. Then again, it’s Quantum Mechanix (QMx), so what do you expect? They make some of the best licensed collectibles out there (and are also responsible for the Loot Crate Firefly boxes, which I will also be reviewing here; those boxes are amazing, BTW), and this is no exception. 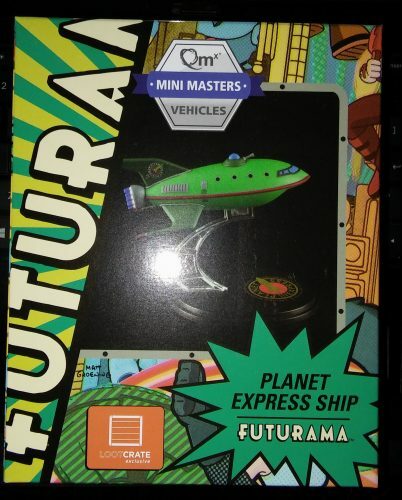 I am torn whether I want to open it or not, but either way, that Planet Express ship is going to look next to my other collectibles. 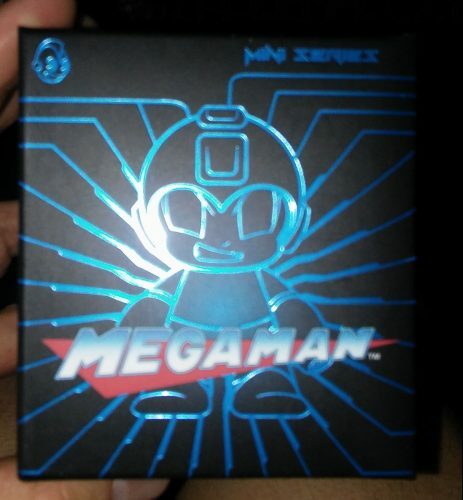 Up next, we have a Megan Man blind-box figure from kidrobot. Not bad. I’m not a big fan of the franchise, but it’s a decent figurine. I’ll hang onto it. 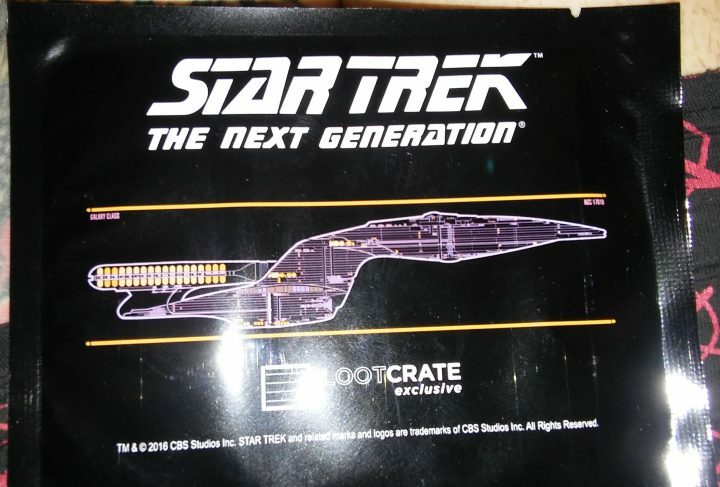 We have two items from Star Trek this month, one from the original franchise and one from The Next Generation. 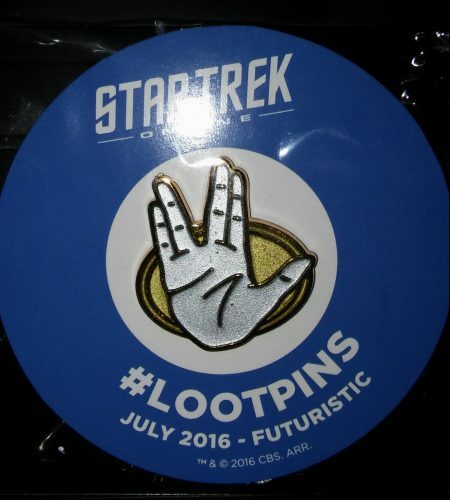 Let’s start with original, which is Loot Crate’s monthly pin. I’m not a Trekkie, but who doesn’t love Spock? That’s a good-looking pin. The one thing I will say for Loot Crate is their pins have definitely gotten better. They used to just do a button with a drawing of the theme on it; now they do a nice custom-looking piece like this every month. The AVP and 20-Sided Dice ones I’ve gotten in the last few months were especially stylish. I had no idea what this was until I opened the package. I have a rule that I never thumb through the monthly magazine, which talks about the contents of the box, until after I’ve looked at all the items first. 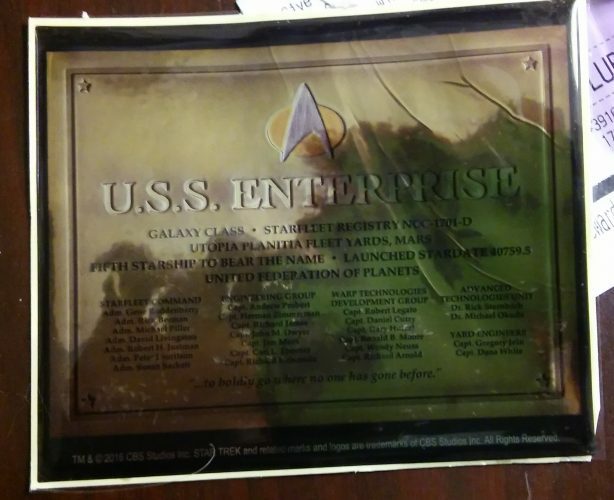 Turns out it’s a sticker version of a plaque located on the USS Enterprise. My wife was always a fan of TNG, so this one is definitely for her. It looks pretty nice. It’s very reflective, so unfortunately you can see my hand and my phone. The picture doesn’t really do it justice, but I assure you it looks cool. One of the better parts of Loot Crate is exclusive variants of comic books. Even if it’s not a comic you’re interested in, they’re all but guaranteed to be worth at least US $10.00 right out of the box, which does help you feel like you’re getting your money’s worth. 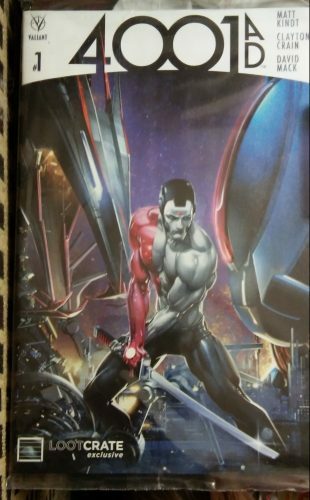 I’m not familiar with this particular series, but it looks interesting, and I like some of the other stuff in the Valiant library, so I’m hopeful. 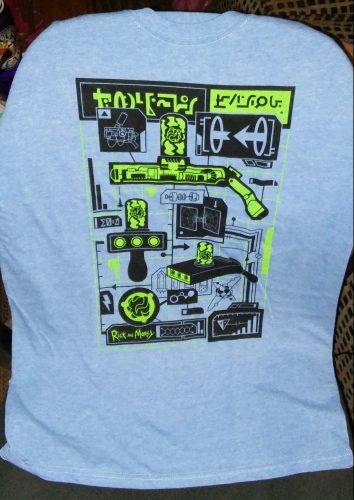 Finally, we get the monthly tee shirt. And…oy. I’ll probably alienate some readers here (even though I’ve only got 3 or 4 as is), but I hate Rick and Morty. HATE IT. I’ve watched it multiple times and legitimately gave it a fair chance, and I just don’t get its appeal whatsoever. Aside from a David Cross cameo in an episode, I have never once laughed at that show. Sorry, but this one’s headed to eBay. Well, it wasn’t a great way to end my run with Loot Crate, but it definitely could have been worse (I could have ended on June’s box, for example). Perhaps one day, I’ll go back, although a box like this isn’t enough to entice me. That, and they just raised their prices in order to supposedly improve the quality of the boxes. I’ll believe it when I see it. Either way, we had a fun run, but but I won’t be going back any time soon. Admirable last effort, though. I am straight edge and a freelance writer currently working for several sites. I also do personal training. Currently, you can see my weekly WWE Smackdown recaps on CamelClutchBlog.com, video game reviews on BurningAngel.com (warning: although I only write game reviews there, it is an adult entertainment site) and mostly wrestling-related stuff on Man Cave Daily (mancave.cbslocal.com).